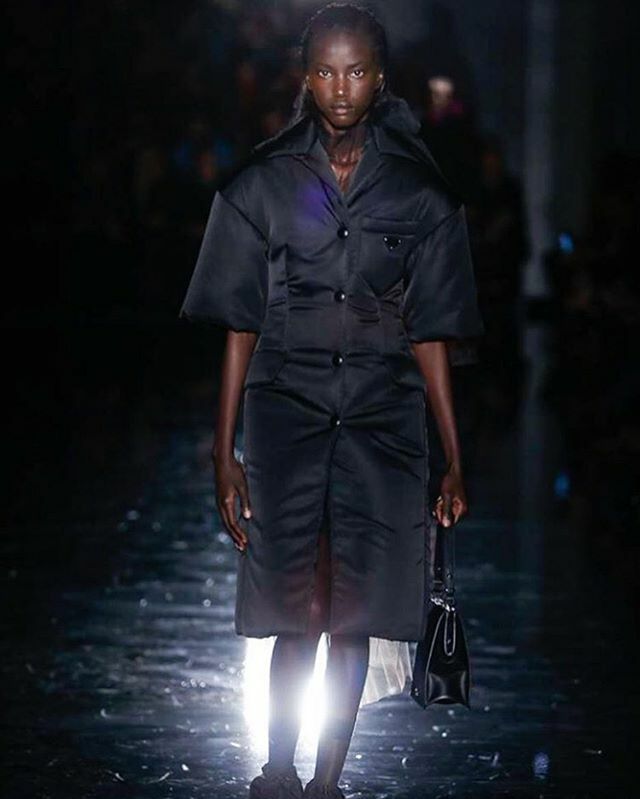 It’s been a black moment in fashion history at Prada’s Fall 2018 show during Milan Fashion Week when Anok Yai became the second woman of color ever to open a Prada show. Naomi Campbell was replaced since 1997 by a 19-year-old on prime time, last Friday. (Holy, two decades had to pass)! Spotted at the Howard University’s homecoming (..what a smart beauty!) last fall, posted on Instagram and went viral, she signed with Next Models weeks later. After this rapid rise to the top, she made her runway debut at Prada’s Menswear Fall 2018 show one month ago. 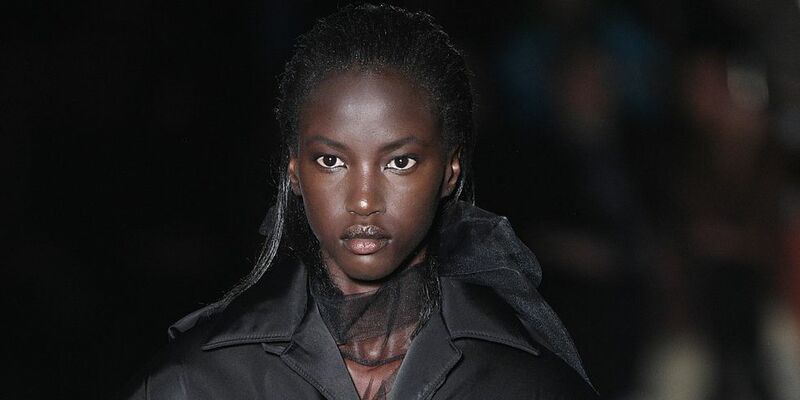 When Anok posted it as the “opportunity of [her] lifetime” as a black model, it describes it’s problematic in itself. 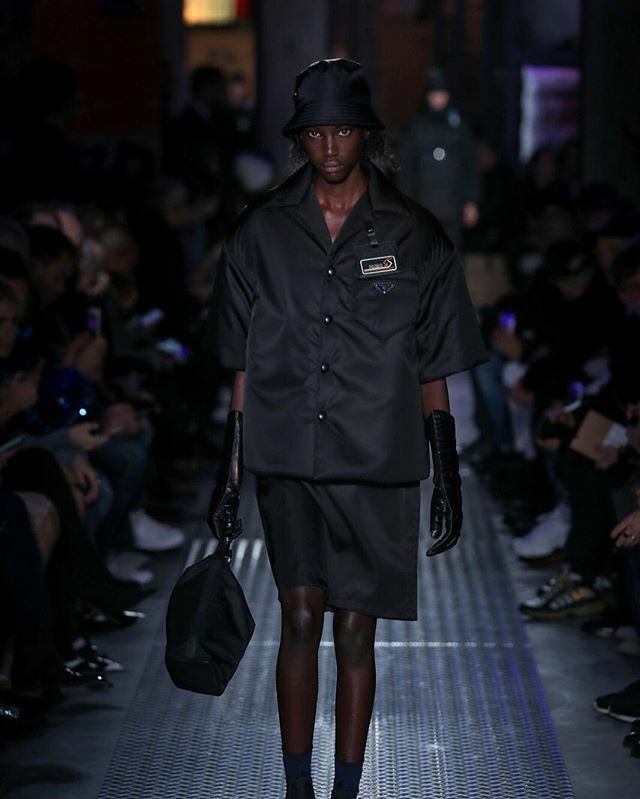 Even on the runway and in its campaigns Prada was not known as a label with a slope to diversity. By recognizing Milan, known as the place of many young upcoming models, as a chance of getting a sign in fashion history, it sets the importance of casting several runways on a high level – still surely, but extremely slowly. Hopefully, all the present top labels like Gucci, Fendi, Versace, Dolce&Gabbana, and Co. go with it in future like Louis Vuitton already did with Janaye Furman. Hasn’t seen it during Paris Fashion Week last year? Well, there has to be a lot of catching up.